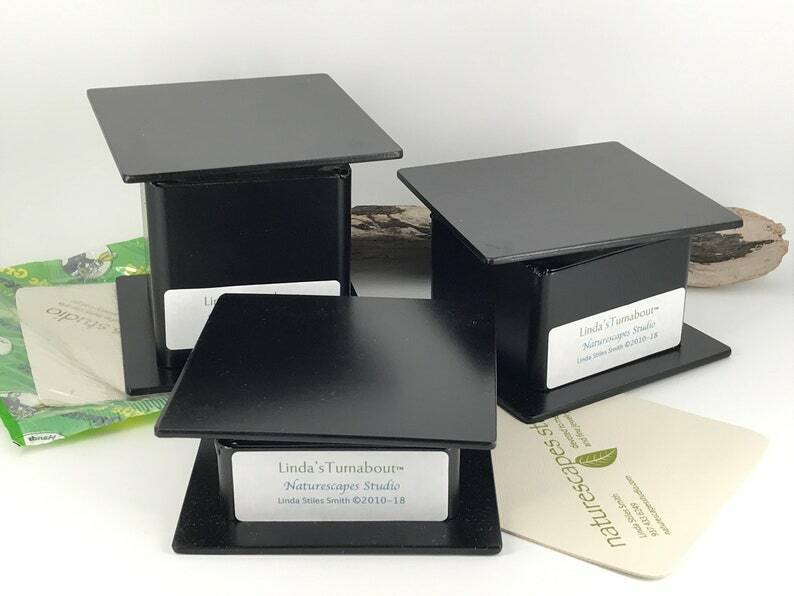 Dubbed LINDA'S TURNABOUT this artist designed and handmade 4" square raised surface rotates 360° to put your craft project directly at the right height and angle to work on without disturbing your project's delicate features! RAISING your work up off the table helps you work better - and saves your neck muscles from strain! (I designed it specifically to save mine!) The rotating top moves smoothly to give you access to every angle of your project. Made from solid steel, the base is heavy and smooth but will stay put on the included rubber mat. By resting my forearms on the bench I have my hands at a better work angle for doing syringe work on silver metal clay. ALTHOUGH I designed it for my use with silver metal clay, there is a myriad of uses in other clay and craft work - even holding a soldering block for your small soldering jobs! The table top measures 4" x 4". Constructed of tool steel with black paint. 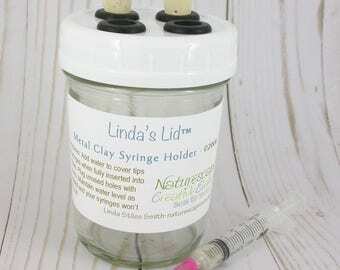 The many miniature crafters who have added it to their tool bench love it! HANDMADE for me by a local craftsman, the tool is quite heavy - so shipping will be at the best available price but may need to be shipped separately from other delicate tools. Polymer clay will stick to the surface making it easier to do mokume or design work. The top won't be damaged or effect the clay while there. Adding a non-stick sheet under the clay will keep it from sticking and allow you to move it from the turntable easily, but it will be prone to sliding around. You can resolve this by placing a couple of tiny bits of raw clay under the corners to keep it in place while you work. I received my Turnabout very quickly. It is just the thing I needed to help me work on my metal clay jewelry. I’m so glad I found you!